It's just not for the Beatles anymore. 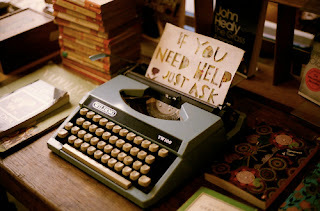 Why is it so easy to help others but so very difficult to ask for help ourselves? It's almost as if the very word "help" gets stuck in our throats and it's there.......it's there.........but were still not quite able to say the words. It's not just the words either. Doing for others is such a wonderful blessing. It lifts our spirits and gives meaning to our existence. Why then is it so difficult to accept? Maybe it's the admission that we are not quite perfect. No one likes to admit they they don't have their lives quite in their control. Maybe the admission of needing help makes us feel weak and vulnerable. Maybe it's not the admission but the act of receiving. Does receiving make us feel not only weak but obligated? Or is it the imposition? No one likes to impose on other peoples lives. Well, I shouldn't say no one. I know people that have no problem asking for anything. They can't do for themselves so they depend on other people's good will to survive. It's the ever-present drama that keeps them going. It's a drug in their veins and without it they feel meaningless. If life isn't high intensity or high drama then they feel the need to create it. I just wouldn't want to be lumped into that category. I guess we all sell ourselves short at times. The people I know, the friends and family, would probably drop everything to help me. They wouldn't find it an imposition, they would do it out of love. Now I'm rambling but maybe it's the outpouring of unconditional love that's hard to accept. It's beautiful, amazing and very humbling. In real estate I used to break everything down to the ridiculous. Maybe that's what I'm doing here. If I break it down far enough I might be able to find the reason it's so difficult to accept help. So let's keep breaking it down. Accepting help is humbling so if that's the case then it's pride that keeps us from asking. We portray ourselves in a certain way. We all have this idea of our "image." Suddenly we find that image crumbling and there is a sense of shame that follows. Going to the great lengths that we do to maintain our own personal pride is counter productive to our health. We don't want to inconvenience others so if that's the case we don't feel worthy to accept help from others. We have too much pride and don't feel worthy of the help? There's an old saying. 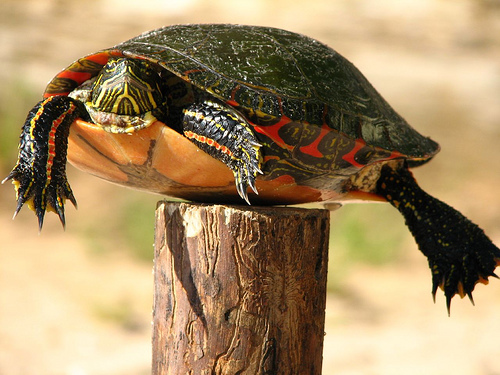 If you see a turtle on top of the fence post, you know he had some help. I think the idea is to look at help in a different manner. If help makes you feel weak then don't look at it like that. We all need support to get where we are going in this life. Support is the pillow that we sink into at the end of the day. It gives us rest and it gives us comfort. Sometimes all the support in the world can't help us with the pain or discomfort we feel but what it can do is helps us through those times. The path that we walk on is filled with pain but the support that we receive from others can help buffer those times. We may feel out of control or weak. We may feel awkward. We may feel like an inconvenience. We may feel many things that don't fit well and feel uncomfortable. There is still one simple truth of this universe. We can't get by without each other. Think about it. We need others for the very physical aspects of our daily lives; our basic necessities like heat for our homes, the grocery store, gasoline.....everything we consume or need depends on other people. We need others for our emotional nurturing as well. When we came into this world we had love and comfort. We put such a high value on our own independence that we virtually trained ourselves to believe that support isn't necessary. When it comes right down to it I think the biggest reason we don't ask for help is because down deep we fear rejection. It comes down to rejection and vulnerability. What if we go through all of this and swallow our pride, ask for help and then we're told no. Is it the "no" that is at the root of it all? Now I have really done it. I've made myself afraid to raise my hand. Hayzell at Possibilism.org is hosting the blog carnival and thanks to her for inviting me!